We stock a wide selection of grates and fireside tools, in both traditional and modern designs. 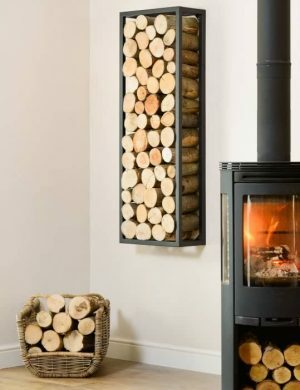 We have an extensive range of ash rakes, chestnut roasters, match holders, toasting forks, pokers, bellows, sparkguards, nursery & safety guards, shovels, hearth tidies, tongs (for both wood and coal), log baskets and log carriers. These have all been designed to be used with your open fire or stove. Our companion sets and coal/log buckets look equally good on the hearth of a gas or electric fire, as they do with a real open fire. We offer a made-to-measure service for both club fenders and standard fenders. We also offer a made-to-measure service for fireplace fames and standard size fireplace frames are usually a stock item. We even stock replacement brush heads for our companion sets. If you need to push the heat away from your stove, we stock the acclaimed Eco Fan. These ingeniously use thermoelectric technology to convert a temperature difference into electricity and with it’s silent rotation, will push the heat away from the top of your stove, spreading heat more efficiently through your home or resulting in up to 18% in fuel savings. These savings translate into a reduction of carbon emissions, therefore helping the environment, as well as saving you money at the same time. We also stock a range of stove top fans which operate at lower surface temperatures, meaning that your contemporary, pellet or gas stove, can also now have an efficient way of circulating warm air around the room. Another item that is worth having is a whistling stovetop kettle; these will ensure, that even in a power cut, you can always have a hot cup of tea or coffee and with the use of a trivet you can keep it simmering. We keep a wide selection of tapered grates, ashpans and frets ranging from 12” to 18” wide. We can supply fire baskets from just under 15” up to 42”, together with firedogs and traditional cast iron firebacks. We even supply fire screens and stock replacement ceramic coals for your gas fire. If you are looking for a particular item then contact us on 01473 258738 and we will do our best to supply it. If you need a new tapered milner fireclay back we generally have 12”, 14” 16” and 18” sizes in stock, along with ottey hoods to suit and vermiculite for backfilling. 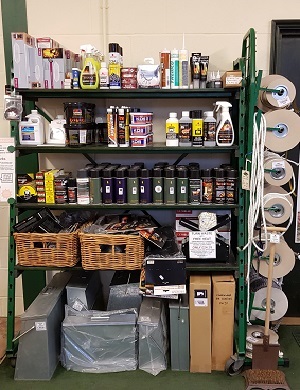 We stock a wide selection of essential items for the smooth running of your fire and stove. For example: Stove paint, traditionally just in black, but now available in many colours. There is also stove polish; together with glass cleaners to help keep your stove looking it’s best. Chimney cleaning powders and logs limit the build up of tar & creosote and maximize the efficiency of your chimney. Ash carriers make de-ashing your stove easier, cleaner and safer. We have vacuum cleaners specifically designed to use on cold ash. We stock sweeps brushes and rods, plus stove thermometers to ensure that you are not wasting heat up your chimney. We have an incredible range of stove door rope and glass seals, together with heat proof glue, firecement, smoke pellets and even gas coal paint to refresh your gas coals, chimney balloons to stop you losing heat up the chimney, plus much, much more.